MIAMI (CelebrityAccess) — Management company Lujen, former managers of 90s grunge-rock band Candlebox, have sued the Seminole Tribe, alleging that the defendants failed to follow through with a business deal to fund tours by the band. According to a letter of intent that was filed with the court, the Seminole tribe had pledged $400,000 to underwrite two 2013 tours by Candlebox in exchange for the rights to two albums and a share of two proceeds from those tours, one planned for early 2013 and the band's summer 2013 tour. 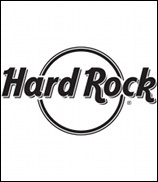 In exchange, the band promised auotgraphed guitars to be displayed in Hard Rock Boston as well as to play a special show Seminole Hard Rock Hotel & Casino. However, according to Candlebox's filing, the promised $400,000 was never provided and the band ended up terminating their contract with Lujen. "My clients were jumping through every hoop, and then [the tribe] stopped returning phone calls and they stopped responding to emails," Stefanie Moon, an attorney for Lujen told the Broward Palm Beach New Times. "The main issue is that the tribe portrays themselves as being friendly to business and entertainers when they're not."